During my visit to Karachi i decided to give presentations on "Oracle ADF introduction" and "Migrating Oracle Forms to ADF" to my colleagues at ORIX Leasing Pakistan based on my little research that i have done few months ago. I have seen many people asked this question at OTN forums so i decided to blog it. In Oracle ADF af:selectBooleanCheckbox and af:selectBooleanRadio component has Boolean datatype which is not actually SQL supported data type (In Oracle we have Boolean in PL/SQL) and most of us stores boolean column values as Y/N or 1/0 in our tables. - Drop a collection as ADF table and right click the StatusBoolean column and choose Convert to.. and select Checkbox boolean. 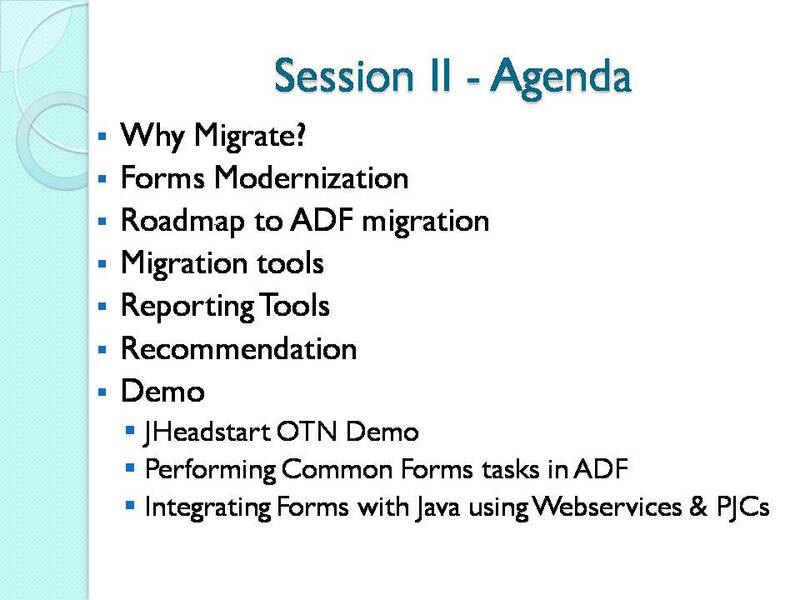 Migrating Oracle forms applications to ADF the one of the biggest issue is what to do with you existing PL/SQL code. 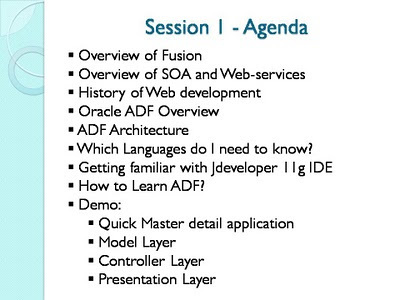 As we all aware that ADF is JEE technology based and it cannot directly interact with PL/SQL as we used to do in Oracle forms application. 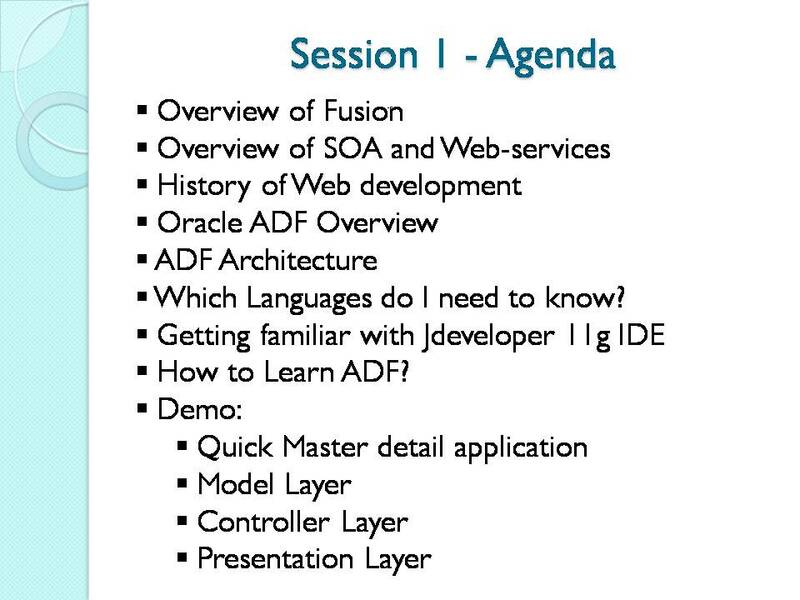 The simplest solution is to migrate your existing code to the database and use that PL/SQL as exposed web-service in our ADF application and today i will show you the example of it. Where should the business logic code resides? Its a million dollar question and my views that It depends on application to application. If we analyze that this code can work inside database so we should move it to database and if the logic depends on some UI interaction (e.g looping over the rows etc etc) then it should be the combination of both. Mr.Tom Kyte (asktom.oracle.com) shared his experience in one of his presentations about migrating business logic code to database and i agreed with him in some context. 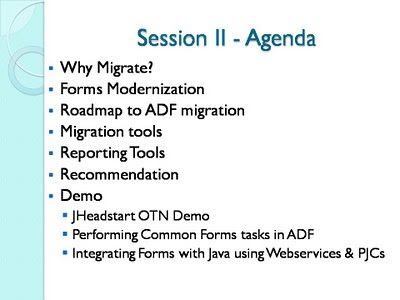 Migrating business logic code to database is better choice as we can manage our code centralized and also you never know what will happen in next 5 to 10 years technology changing quickly today Java, ADF is HOT tomorrow who knows :) so logic stored in database will save us from major re-writing the same code again. - We will use Oracle default HR Schema. - We will create a stored package in PL/SQL which will insert some data into table. - We will create a stored function which will return the complete name of Employee i.e First_name||' '||Last_name. - We will add a code in our Application ModuleImpl Class and expose all methods to client interface. - Integrate those methods on JSF page. --Table to wok with Procedure. Double click the Application Module and click the Pencil Icon appearing with the Java classes. - Right click and choose Make to compile the file. - Right click and choose Run . Enter 100 in the Input Parameter and Press Get Employee Name Button. - Press Test Log procedure button couple of times.